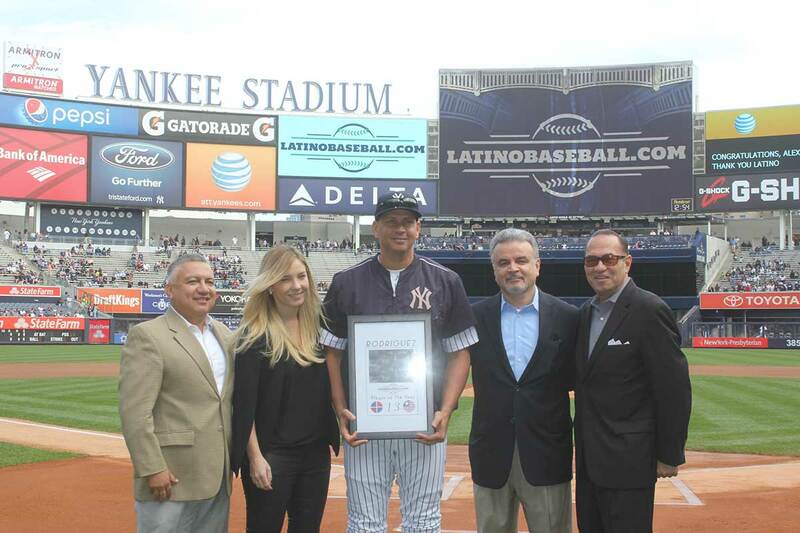 Alex Rodriguez received the Latinobaseball.com 2015 Player of the Year Award at Yankee Stadium prior to the Yankees game with the Chicago White Sox. Thais Schenk of Dominican Republic Tourism, Manny Gonzalez of Hennessy and Lou Melendez of Sports Media Partners joined Ralph Paniagua, the Publisher of Latinobaseball.com to present the award to Alex at home plate at Yankee Stadium before the game. “The fans at the stadium applauded for Alex, that was great to hear,” said Thais Schenk, representing the Dominican Republic, which has more players in professional baseball than any country other than the U.S.
“What a change from Opening Day, when he was received with jeers rather than cheers,” said Manny Gonzalez of Hennessy, whose tagline “Never Stop, Never Settle” fit perfectly with Mr. Rodriguez’s return year to the diamond. “Mr. Rodriguez received this year’s award for his remarkable performance both on and off the field,” stated Ralph Paniagua, Publisher of Latinobaseball.com. “After his one year suspension and advanced age, Alex Rodriguez won back the fans and was an important cog in getting the Yankees into the Playoffs,” he concluded. As the Yankees Designated Hitter during 2015, Alex’s numbers exceeded everyone’s expectations with 32 Homeruns, 83 RBIs and 81 runs scored to date with one week left in the season. In 2015, Alex celebrated his 3,000th hit, surpassed Willie Mays Homerun total, broke Lou Gehrig’s Yankee RBI record and hit more Grand Slams than anyone in baseball history. Alex won over his teammates, impressing them with his clutch play and his positive attitude in the Clubhouse. He also won over the most difficult and demanding fans, the New York Baseball fans. 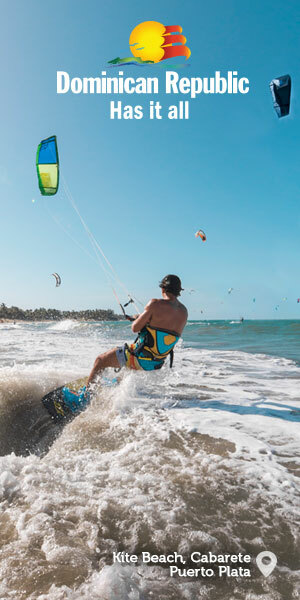 Alex humbly and without much fanfare was a leader in the community, by supporting youth sports and health programs by donating millions of dollars to the Boys and Club Clubs and local health programs. Latinobaseball.com is proud to present Alex A-Rod Rodriguez with the 2015 Latinobaseball.com Player of the Year.